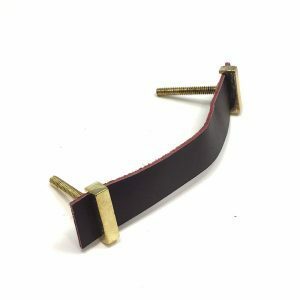 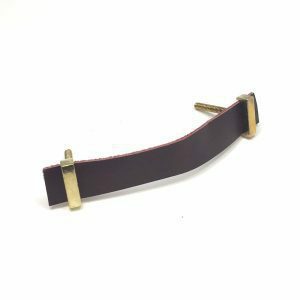 Give an existing piece of furniture, cabinets or dresser drawers a touch of Hollywood with our luxe Brown Horn and Brass Handle. 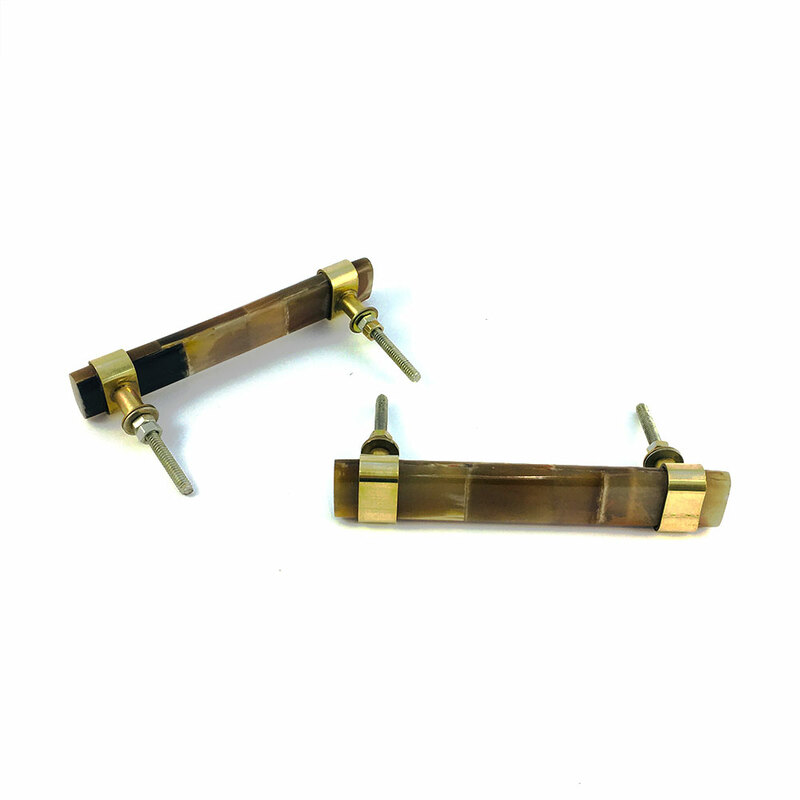 Handcrafted in a design that is modern however exudes sophistication and refinement of the Hollywood regency era. 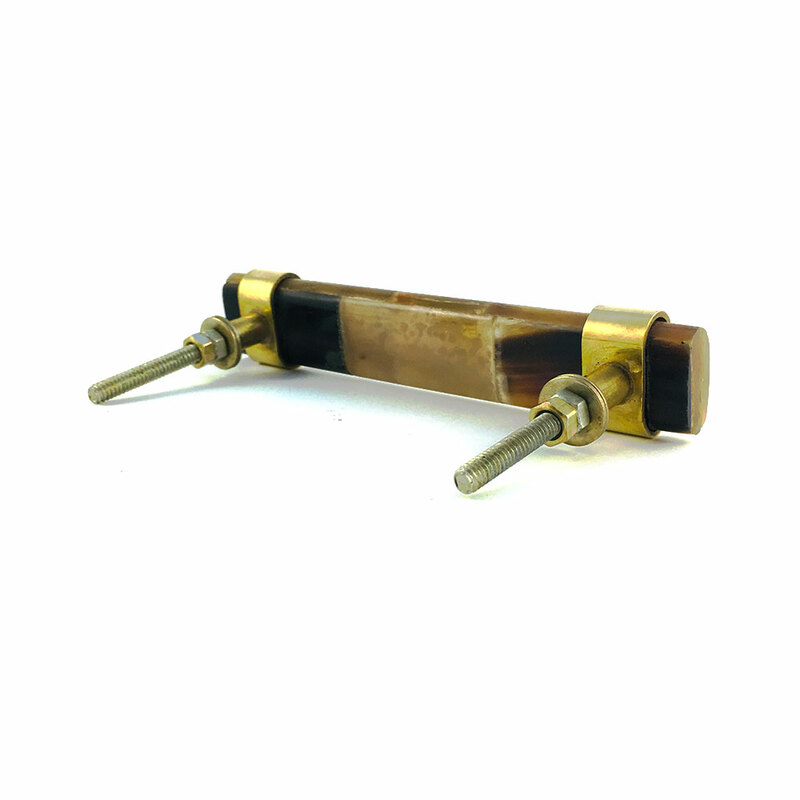 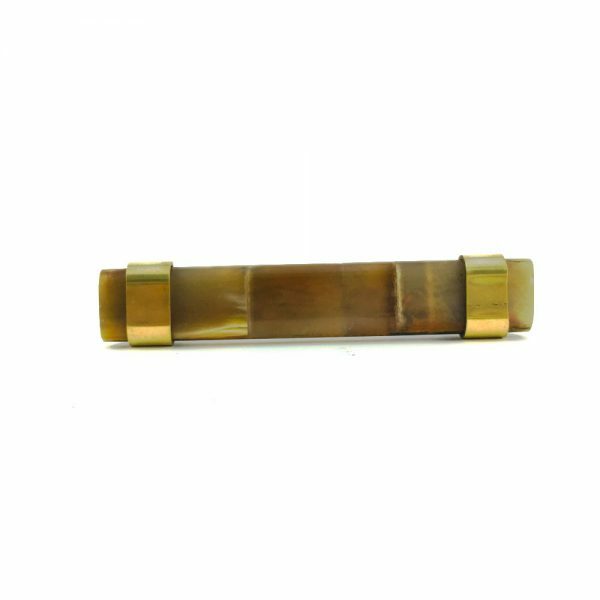 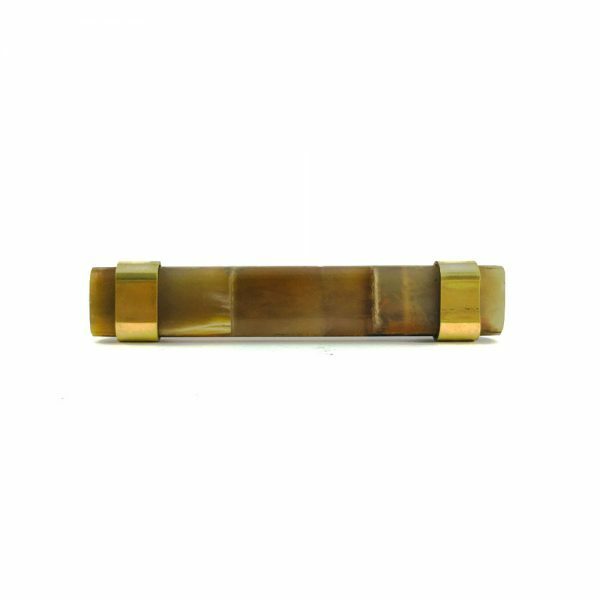 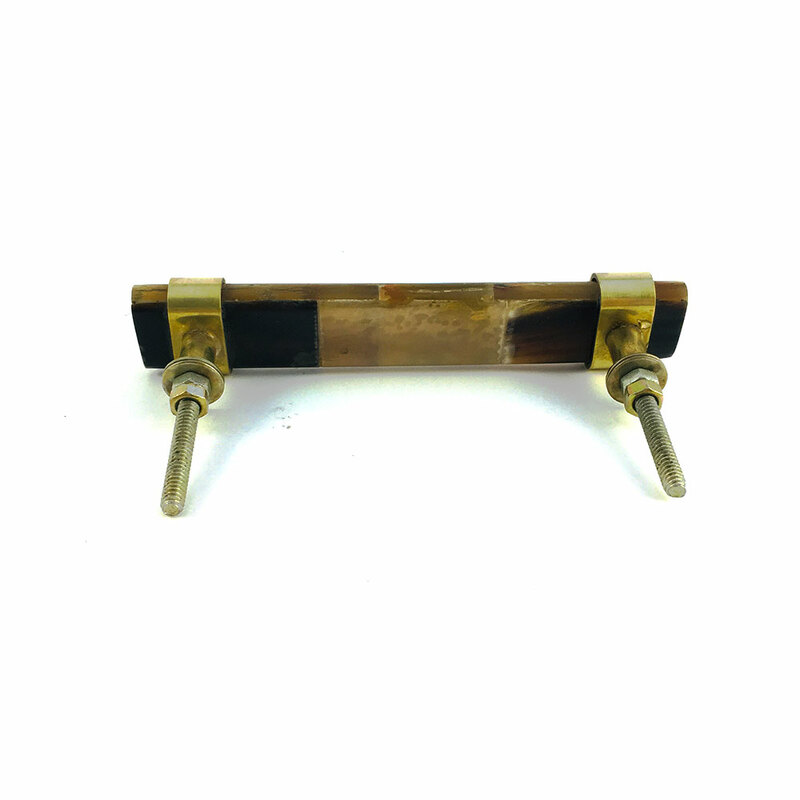 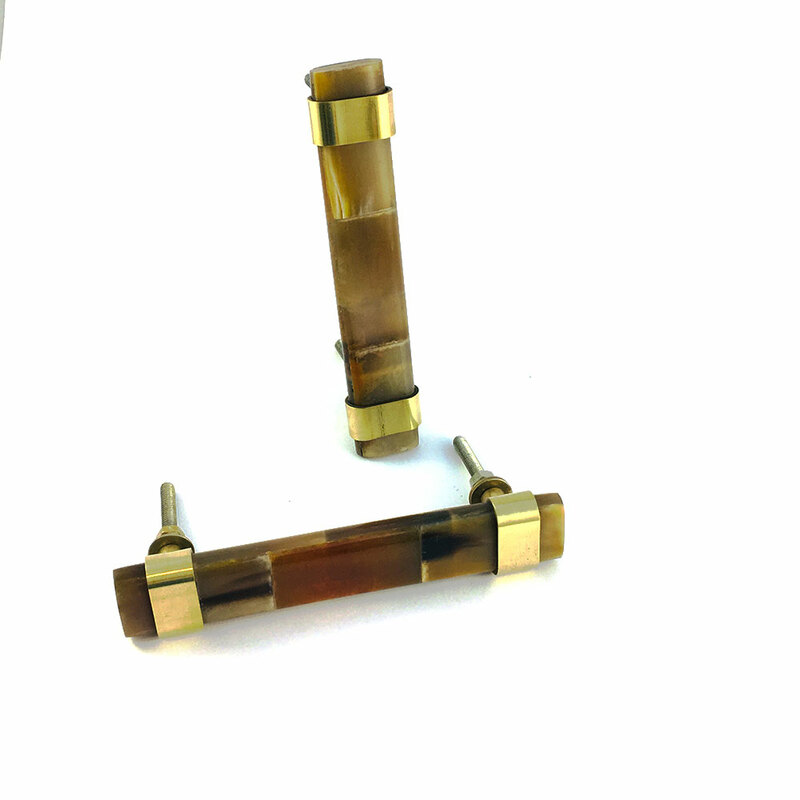 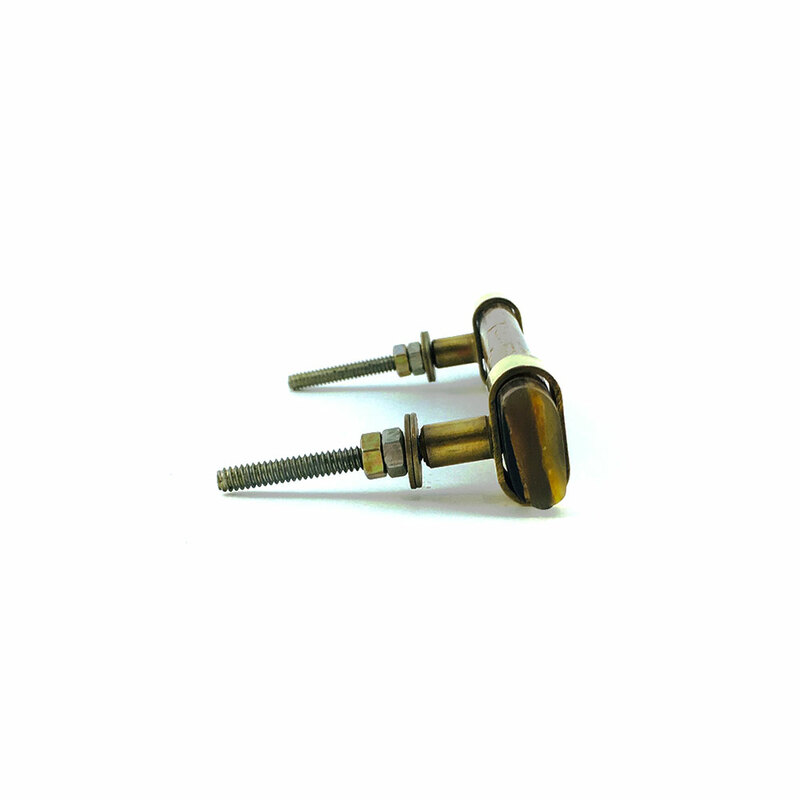 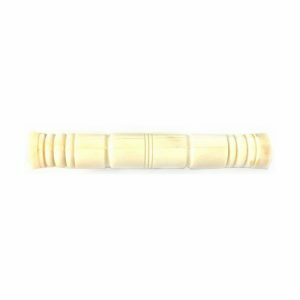 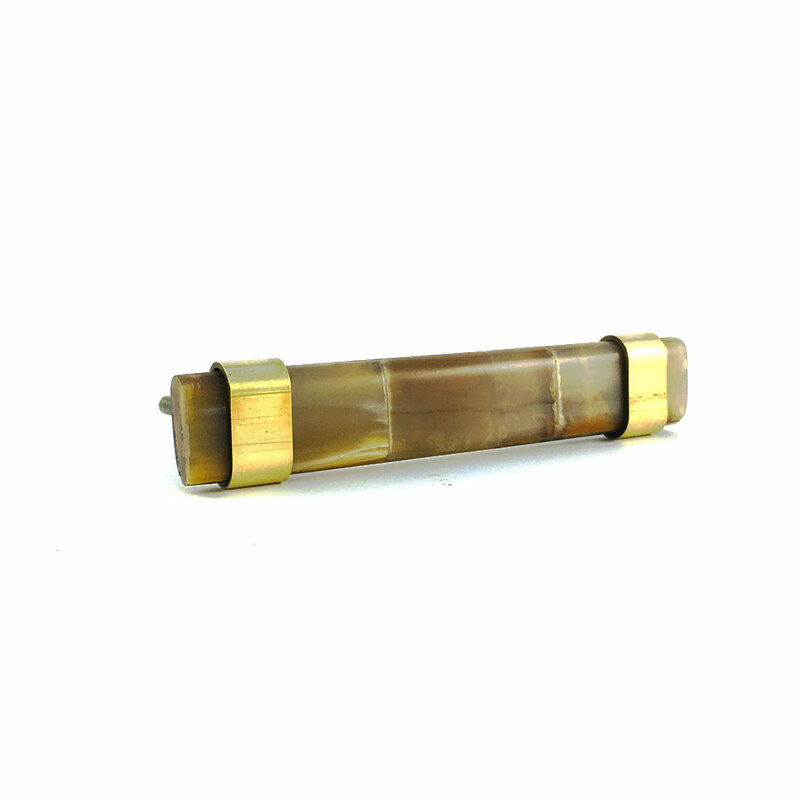 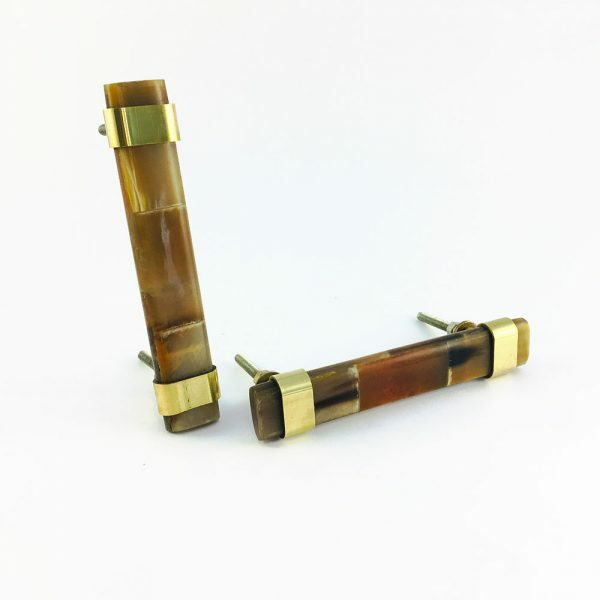 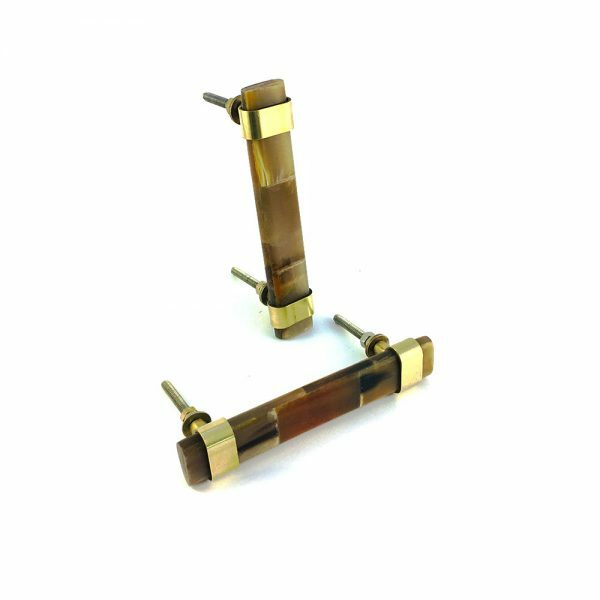 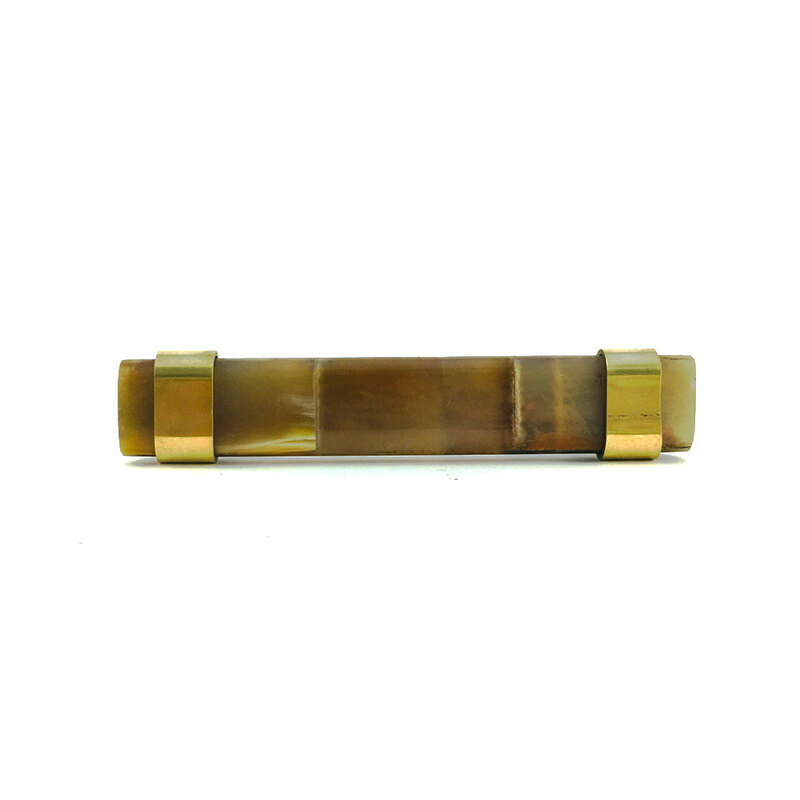 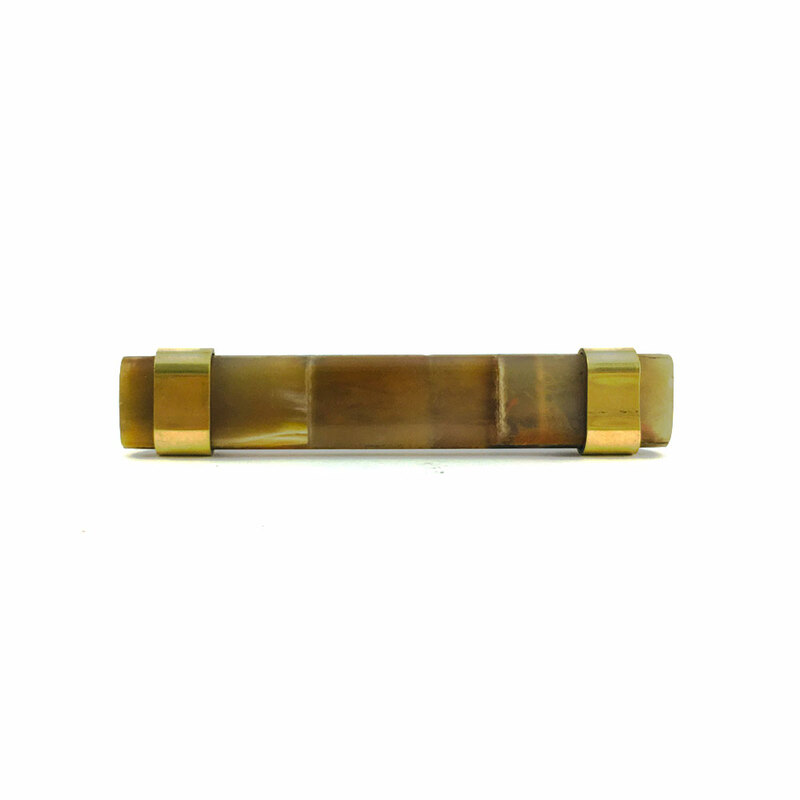 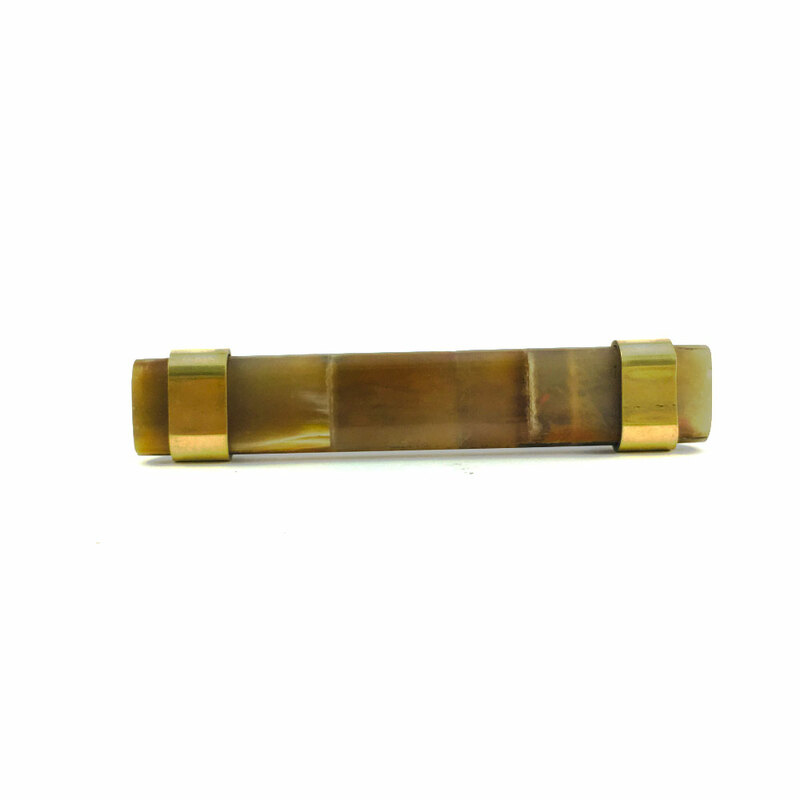 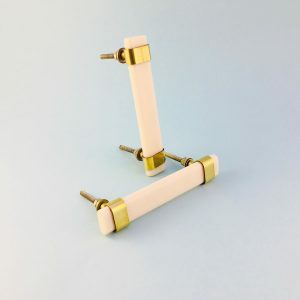 This cabinet handle is made with brown horn and is perfectly finished with brass banding and fixtures. 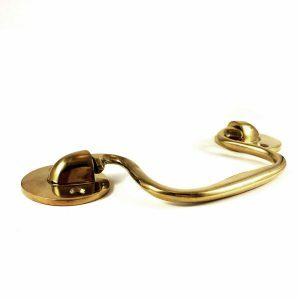 It’s sleek design modernises the look which enables this beautiful handle to work in a variety of decor settings. 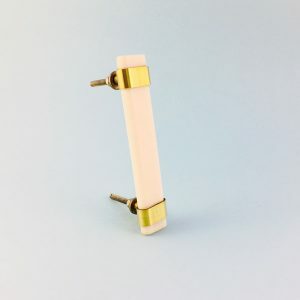 Why not complete the look and pair it with it’s matching pull or mix and match to layer a space with colour and texture. 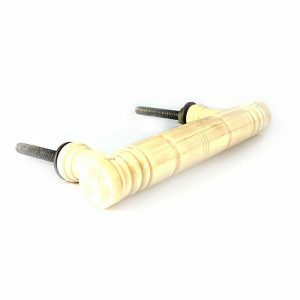 If you’re after a knob that is unique, visually interesting and attention grabbing this is the perfect choice for your furniture update. 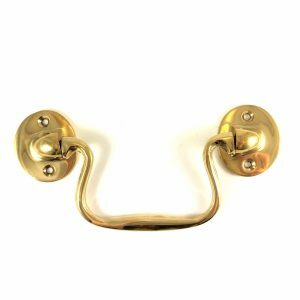 It’s a fast and cost effective way to refresh your furniture knobs, dresser knobs, kitchen handles and making it look luxe!.